On December 31, 1989, the nationalist organization Popular Front of Azerbaijan called for and led the removal of borders between the Azerbaijan Soviet Socialist Republic and Iran. Thousands of Azerbaijanis crossed the Aras River to reunite with Iranian Azerbaijanis. On the same day, the first World Congress of Azerbaijanis opened in Istanbul, Turkey. These two events inspired International Solidarity Day of Azerbaijanis. 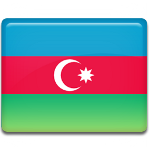 This day is a public holiday in Azerbaijan. It is also celebrated by the Azerbaijani diaspora. The term “Azerbaijani diaspora” refers to the communities of Azerbaijanis living outside the Republic of Azerbaijan and Iranian Azerbaijan. There are large Azerbaijani communities in Russia, Turkey, Georgia, Kazakhstan, Germany, Ukraine, the Netherlands, Kyrgyzstan, the United Kingdom, and the United States. Despite being scattered across the world, Azerbaijani expatriates still respect their language, culture, and historical heritage.